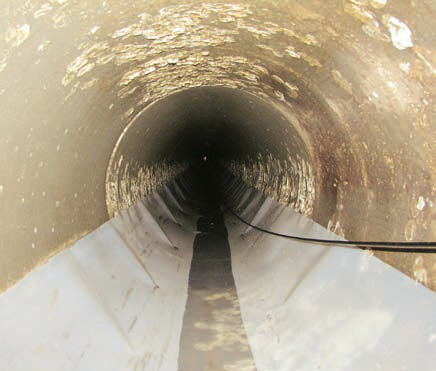 ELS used SAERTEX multiCom® LP, Milliken products to fully rehabilitate aging sewer pipes at Milliken Chemical’s Dewey plant. Last summer, Jacksonville, Fla.-based Engineered Lining Systems (ELS) completed a renovation of high density polyethylene (HDPE) sewer pipes at Milliken Chemical’s Dewey plant in Inman, S.C. The plant — in operation since 1969 manufacturing textile chemicals, colorants and other specialty compounds — features a series of sewers for collecting and directing waste chemicals for treatment and processing. 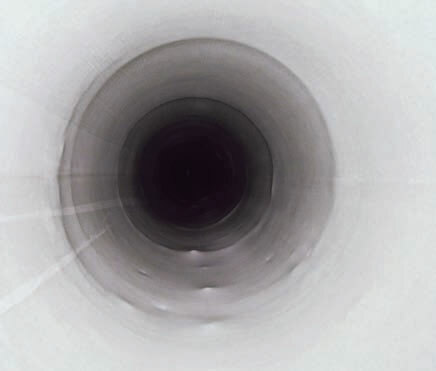 In 2000, Milliken installed HDPE pipes to repair many of the older sewer lines, but the high temperature waste entering the pipes and manhole liners causes continual expansion and contraction of the pipes, which was beginning to raise environmental concerns. SAERTEX-LINER®, an ultraviolet (UV) curable glass reinforced plastic (GRP) stitch bonded liner fabric manufactured by Huntersville, N.C.-based SAERTEX multiCom® LP, a division of Germany-based SAERTEX GmbH & Co. KG, was chosen for the rehabilitation project. SAERTEX-LINER may be impregnated with a polyester or vinyl ester resin prior to delivery. There is no need for on-site use of chemicals, and the product may be cured using UV light, eliminating the need for any steam or hot water during the installation process. The resin impregnated liner is pulled into the pipes using a winch, expanded with air to keep it open and then cured using a light train equipped with UV lightbulbs. 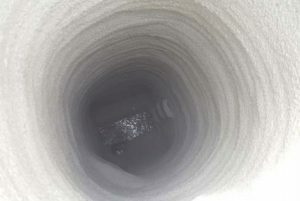 It’s a low-risk installation process that allows the pipes to quickly return to service, according to Mark R. Hallett, general manager, SAERTEX multiCom LP. Manholes were repaired using Milliken’s GeoSpray®, a high-performance fiber reinforced geopolymer mortar. At the Dewey plant, ELS initially lined two 12-inch pipes approximately 300 feet in length with the SAERTEX UV cured GRP liner. Additionally, Milliken’s GeoSpray® system — a high-performance fiber reinforced geopolymer mortar — was sprayed in one manhole to effectively seal the system. Once the two products were in place, the installation was inspected to make sure the system was functioning effectively. Then, the remaining sections of the sewer system were rehabbed. ELS completed the project — repairing more than 1,700 linear feet of 12- to 36-inch-wide HDPE pipe, and cleaning 19 manholes that were then sprayed with GeoSpray — in 45 days. During the installation, no plant shut down was required and the Dewey facility was able to maintain full production levels.